A mnemonic device is a verbal or visual memory improvement technique that makes it easier to remember a host of seemingly unrelated data. 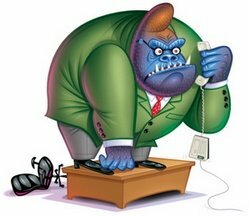 It works by evoking vivid and unusual mental imagery and emotions, thereby giving dry data meaning. We have all used simple mnemonics like this before - but there are many more clever mnemonic devices to enhance your memory stupendously. Whether you are battling aging memory loss or super-charging a healthy student memory, mnemonics are an excellent habit to form. You will soon be able to quickly memorize long lists of items, tasks, or important facts and recall them from your long term memory with ease. The Linking System - This is a simple yet inspired technique based on visualization. Anyone can do it, and it will massively enhance your memory power within the next few minutes. I defy you to be unimpressed with this one. The Name Game - A swish little technique that will enable you to commit new names to memory as soon as you hear them, along with pertinent facial details. The Loci System - Another excellent mnemonic device for all ages. The Loci System uses your knowledge of a familiar route to remember just about anything, from shopping lists to the works of Shakespeare. 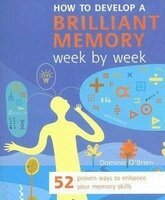 To learn more about mnemonic devices, I recommend How to Develop a Brilliant Memory Week by Week. It is written by Dominic O'Brien, who is arguably the top memory expert in the world today and has written many books on the subject. This guide is a year-long course in memory improvement, complete with a paced program of study that slowly builds up. Combining an expert understanding of the brain with tested methods, O'Brien has produced a potent tool to enhance memory.